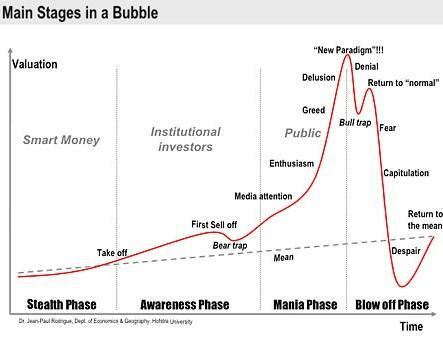 The Main Stages in a Bubble graphic (below) has been around for a while, and in my opinion the rise in home prices recently has been a bull trap. I first discussed the possibility of a bull trap in this post I did back in November of 2009 based on a paper I read in 2004 written by Robert Schiller, of the Case-Shiller Index, who discussed the likelihood of bull trap formations in bubbles. 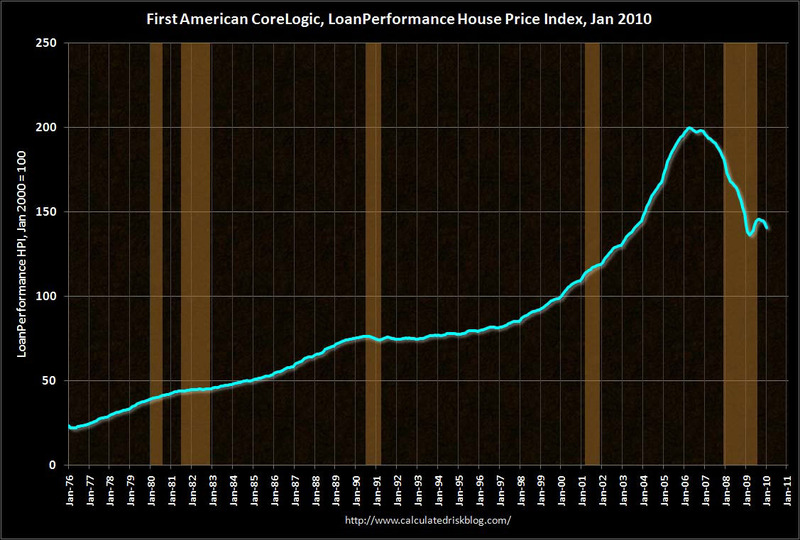 It’s interesting to note the resemblance between the stages of a bubble and the current house price index through 2010. My belief is that the parallelisms between the two charts will continue due to several contributing factors. I’ve linked to very recent articles in each attribute. The Fed’s planned suspension of buying mortgage-backed securities by the end of this month. The governments planned discontinuation of the $8,000 federal home buyer tax credit in April. 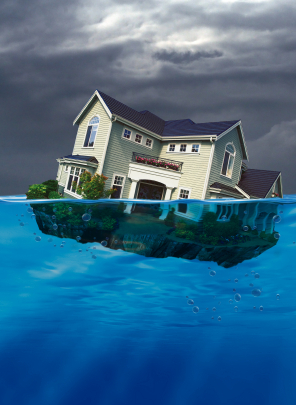 A new wave of foreclosures is about to slam into the housing market. An estimated 8.5 million homes (two years worth of supply) are lurking out there somewhere as shadow inventory. The Labor Department reported that 37,000 jobs were lost in February with an unemployment rate stuck at 9.7%. Housing inventory rose 9.5% in February from a 7.8 month supply to an 8.6 month supply in just one month. Home owners (squatters) who have been foreclosed on but aren’t paying their mortgage get to live for free for months…years. Fannie Mae is hiding….hiding…as off-book transactions (defaulting mortgages) eight times the number of on-book transactions it is showing. The government removed the $200 billion caps on how much money the taxpayers must give to Fannie and Freddie to bail them out, which means the government has no idea how high the number will go. As the FHA wipes out its loan-loss reserves and its delinquencies climb, the government will force them to tighten lending standards. As bullets 1 through 10 above drive prices down, more people will “strategically default” creating a vicious cycle. What does each of those mean? This will allow interest rates on home loans to rise. This makes homes more expensive which means home prices must drop to compensate. 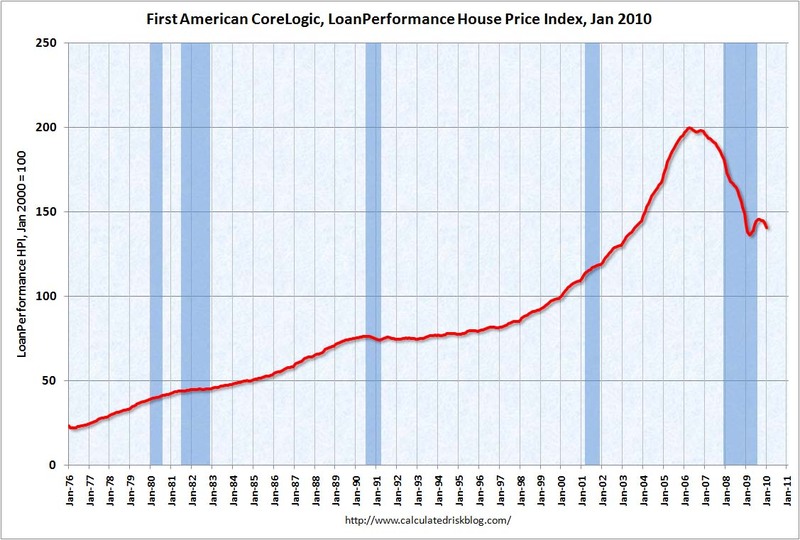 A) Home buyers will have to cough up another $8,000 or B) Home prices will have to come down. I go with B. Inventory is already rising and a new wave of foreclosures will bring even more inventory to market further depressing prices. Banks are hiding homes by foreclosing on them, but not listing them on the MLS for sale, making it look like there is less inventory than there is. Eventually, they will have to release this inventory. For 2010 the economy will still be stagnant. We’re still losing jobs, just because we’re losing fewer jobs doesn’t really make anyone feel that much better. Inventories are already climbing, and with interest rates rising, tax credits disappearing…inventory should continue to climb. More inventory = lower prices. Banks have so many homes in foreclosure or in shadow inventory that they are letting people live for free in their foreclosed homes just so there is someone there to watch over the place. Nice deal huh? These are homes that should be counted as “inventory” which would lower prices…but they aren’t. A minimum of $600 billion in off-balance sheet defaulting mortgages will be absorbed by the taxpayer adding to the fiscal deficit as off-balance sheet transactions in the Treasury Department. This will require another bailout. Guess who tried this already? Greece. From the WSJ, “The conscious distortion of the figures concerning Greece’s fiscal deficit clearly constitutes deception” which is leading Greece, as a country, into bankruptcy. On Christmas, so nobody would notice, the government removed the caps, which means you and I are on the hook to cover the losses on an unlimited amount of mortgage foreclosures. Estimates from the CBO say that the government bailout of mortgages will cost more than the Bank, AIG and GM/Chrysler bailouts…combined. The FHA made up 50% of first-time home buyer mortgages last year and represents almost 30% of all activity in the mortgage market, up from just 3% a few years earlier. If lending standards are tightened, significantly fewer buyers are available to buy homes which will cause sales to drop and prices to decline. This is a good thing. One article I read said increasing down payment requirements by 1.5% from 3.5% to 5% (only an additional $7,500 in cash on a $500K house) would eliminate 40% of potential buyers. These people don’t even have $7,000 more to bring to the table. That’s how precarious this market is. Strategic defaults occur as people realize they have no chance of recovering, over the length of their mortgage, what they’ve lost in depreciation on their home. A homeowner in a $350,000 that’s dropped to $225,000 can just mail the keys back to the bank and go rent instead of thinking about how they lost $125,000 that they still have to pay for. That $125,000 debt just disappears with one postage stamp. It’s the new black. Hat tip to SoCalBubble Blog. Just another waiting game…thanks for the info!